Look, everyone, it’s stopped raining! Let’s go and have PE outside today! Oh. Wait. Sorry. It’s a mud-fest out there. PE in wellies then? No thank you. The simple fact is that no matter how wonderfully varied and beautiful (looking at the positives!) our Great British Weather is, it’s just no good for the school field. The changeable weather lays waste to many a school ground across the country. If hundreds of little pairs of feet haven’t turned them into Glastonbury-style quagmires by the end of winter, then the odd heatwave we might be lucky enough to enjoy is sure to create a vast cracked wasteland - ready to challenge even the most well-stocked of first aid boxes. 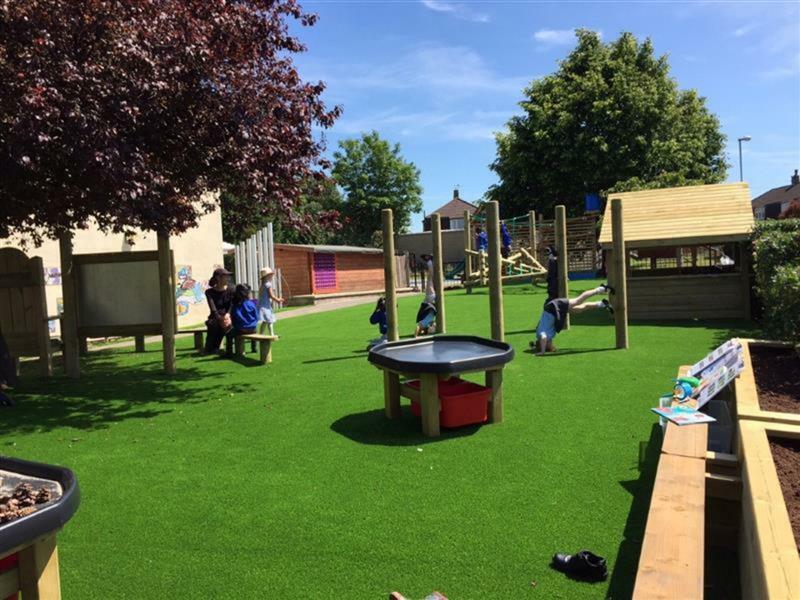 This is why more and more schools and nurseries are turning to artificial grass alternatives. So what of the moral quandary of replacing our “natural” environments with the artificial? It is understandable that some of us would wrestle with our conscience, concerned about possible adverse effects on ecosystems and wildlife. Some people don’t like artificial grass because it’s “just not natural”. All things considered, however, this is not really the point if natural grass can’t and doesn’t survive or thrive in your environment anyway - and it is highly unlikely to stand much of a chance in busy school grounds! Sparse and trampled school fields are no way near as biodiverse as hedgerows, natural parks and meadows. And there are certain situations where artificial grass is just a much more sensible and practical solution. Fact. 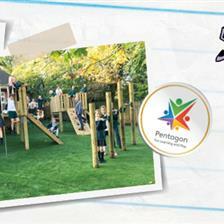 In school playgrounds and nurseries, artificial grass is much brighter, softer and kinder for children to play on. Certainly, in areas where grass won’t or can’t be allowed to grow anyway, it’s much better and safer than concrete, and it allows water to drain into the ground. On the flip side of the coin, there’s the changing climate to think about. This summer’s heatwave saw widespread threats of hosepipe bans countrywide. 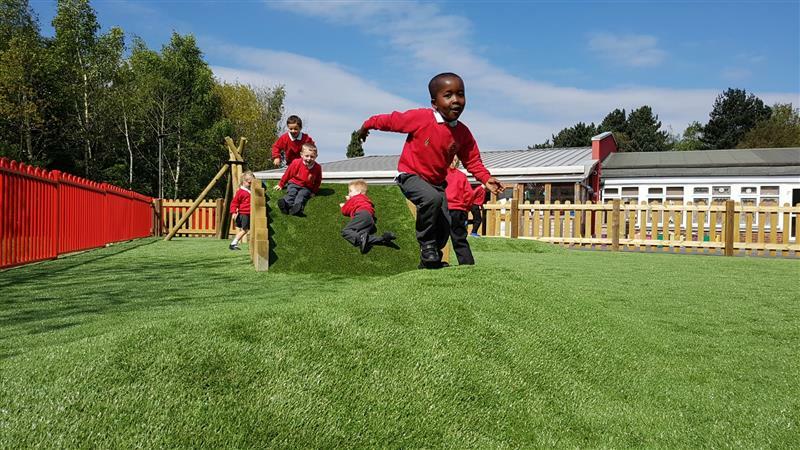 While scientists warn that summer droughts will become the norm, it’s impossible to see how schools and nurseries can practically maintain good quality real grass spaces, which require a huge amount of water for upkeep. Which brings us to the significant cost implications for schools to consider. Maintaining natural grass takes a lot of time, money and physical effort, often to no avail. Whilst there is, of course, an initial cost in having artificial grass installed, once it is in place it is generally maintenance free, and if it’s been professionally installed it will last for many years. And yes, it creates a space that can actually be used! Artificial grass technology is something else nowadays. Well made, good quality Astroturf is robust and so life-like, and there are plenty of varieties available to suit different needs and budgets. There is a real drive across the country at the moment, from organisations ranging from Sport England and the Association of Physical Education to the mental health charity MIND, and many many more in-between, to try and get our children outside more, enjoying activities and exercise in the fresh air. The physical and mental health benefits of outdoor play and sports are becoming ever more understood. 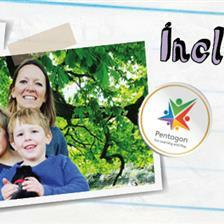 With rising concerns about childhood obesity in the UK and the associated health complications that obesity brings. Government research indicates that nearly a third of the UK’s children aged 2 to 15 are overweight or obese. 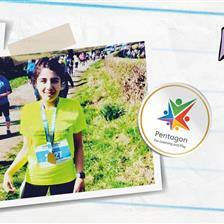 Younger generations are becoming obese at earlier ages and staying obese for longer, it is absolutely essential to get kids outside for fresh air and exercise every day, no matter what the weather. 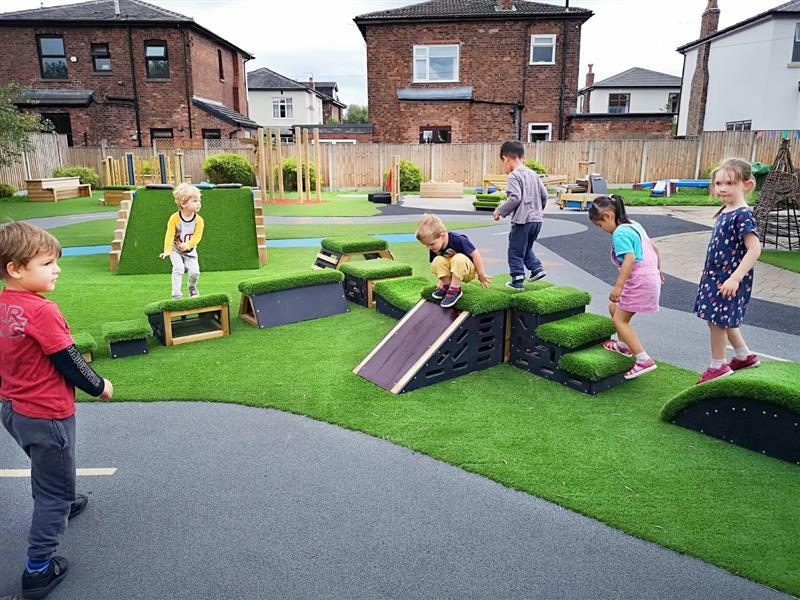 With that in mind, many schools simply don’t have the luxury of that much available outdoor space to accommodate unusable muddy grass and hard, uneven concrete areas, and still be able to get all their pupils outside for the daily physical exercise they need. This is where artificial grass comes into its own. 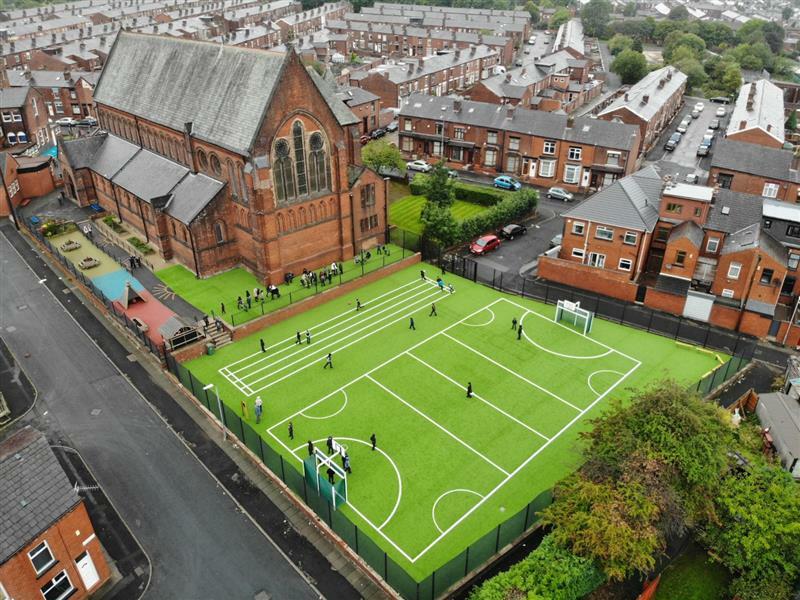 Opportunities for teachers and practitioners to take lessons, activities and sports outside increase beyond compare once it’s been installed. As a self-draining, all-weather material, it stays clean and can be used come rain or shine. 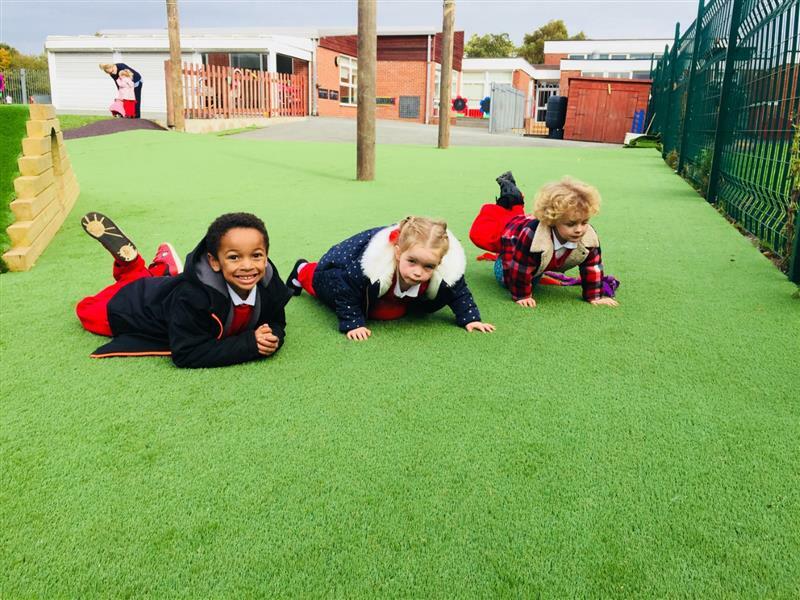 And because it’s installed onto an impact absorbing layer, it’s much more physically suitable for children to run around on without so much risk of injury from slips, trips and falls. 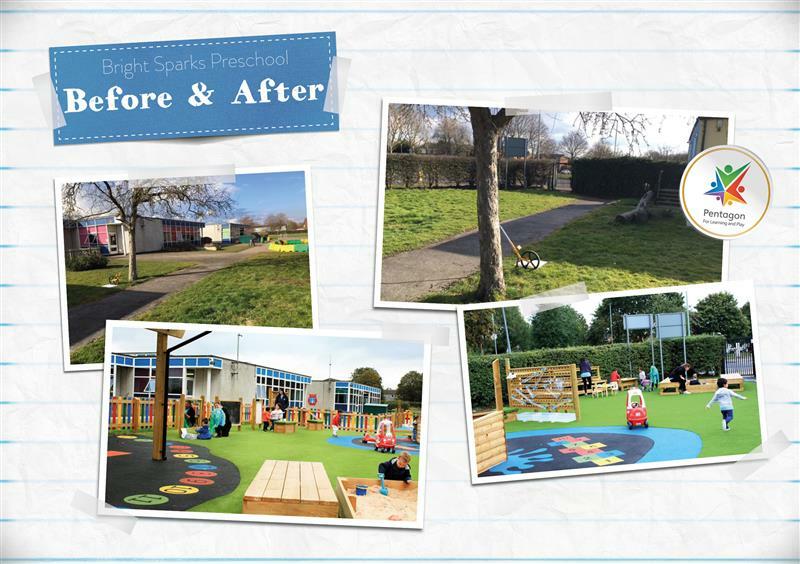 Not only that, but the bright colour of artificial grass really lifts the mood too - well and truly waving goodbye to the dull grey playgrounds of the past! 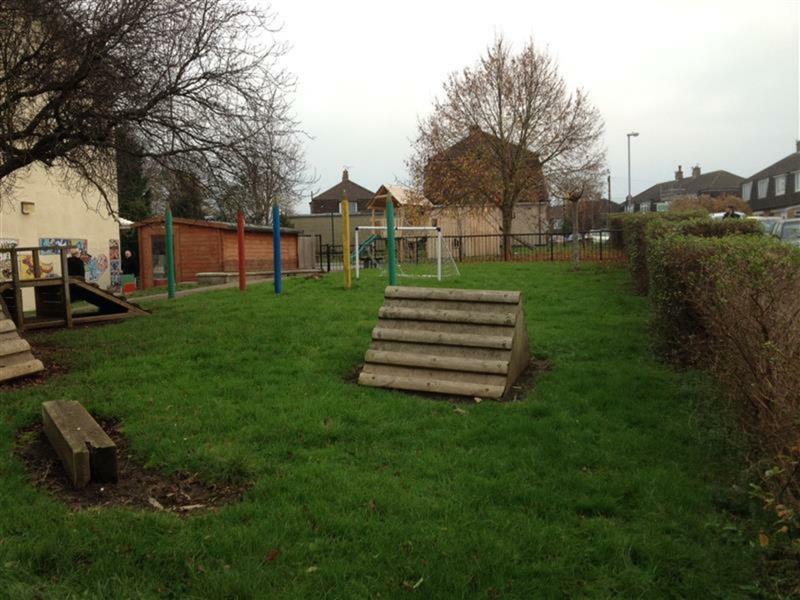 If you’re still thinking about the impact on the environment, it is worth bearing in mind that there is plenty more that schools and nurseries can do to welcome wildlife into their grounds, that is likely to be much more effective than a muddy field! Creating beautiful Natural Play Environment alternatives, installing planters and designated wildlife areas specifically for growing and supporting flowers, plants, birds and insects, are a wonderful idea. Bug hotels and bird feeders, planting boxes and digging beds. Not only are they good for the environment, but they serve unlimited educational purposes with opportunities for children to get out and get hands-on, observe, explore, and investigate, and achieve all sorts of learning objectives. 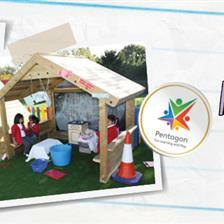 At Pentagon, we are market leaders in designing, supplying and installing beautiful Artificial Grass for Schools and Nurseries. 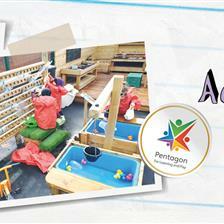 We create captivating all-weather outdoor learning and play environments that can make an immeasurable difference to your outdoor provision. If you would like a free consultation we would be delighted to come and see you. Call us on 01625 890 330 (North) or 0117 379 0899 (South) or Contact Us here.